7) Preserving the Company’s leading position in the national market of mobile telecommunications. – 50 SMS Free upon activation. Valid for Robi-Robi and 07days from Activation. (till Jan 31, 2007). From now on Pre-Paid REGULAR Mobile Link and Mobile Plus customers will enjoy the facilities of Pre-Paid REGULAR Standard under Robi POWER. Free talk-time of TK 50.00 upon activation (till Jan 31, 2007) v 50 SMS Free upon activation. Valid for Robi-Robi and 07days from Activation. (till Jan 31, 2007). With Robi Phurti enjoy 10% bonus talktime! From the graph it is apparent that the mobile telecommunication industry is in the growth phase of the market as a whole. Form analyzing the characteristics of the product life cycle the characteristic, marketing objective & strategies the companies are setting up to. The sales in the mobile industry are rapidly increasing. The cost is average per customer. Profits are marginally increasing. Customers are more or less early adopters. They are aware of the services that have been offered to them more precisely. The competitors are growing in number. The common marketing objective of all the companies are to maximize there market share. On the market strategies segment the product strategy is on the offer product extensions and on service orientation. More and more offers of value added service and added features are included in the package. The pricing strategy is to penetrate the market. So they are all more or less following the penetration pricing strategy. In distribution strategy the industry is the building on intensive distribution. More and more emphasis is given on gaining the market. So distributing the product to the far corners of the country has become a priority. In case advertising & promotional strategy the companies are all in aggressive advertising policy. Using all the possible media uses to increase the market share & reaching potential customers in mass market. Lastly in sales promotion the companies are on a rampage. They are offering enormous amount of services with the same package & low cost rate with different events all round the year. PEST analysis is concerned with the environmental influences on a business. The acronym stands for the Political, Economic, Social and Technological issues that could affect the strategic development of a business. Identifying PEST influences is a useful way of summarizing the external environment in which a business operates. However, it must be followed up by consideration of how a business should respond to these influences. Political Factors Marketing strategy is deeply affected by political perspectives. The government of Bangladesh has given mobile sector ample amount of freedom to do business. There were some stiff regulations that hindered the possible entry in the mid 90’s but as technology entered the new millennia government freed the way for companies to enter the market. Government in a way is the regulatory entity as well. This factor is also an important factor. Usually economic environment is analyzed with reference to the following key economic factors: employment, CPI, personal income, real GNP etc. The economy has been a major roller coaster ride. Though the government claims that the economy is stable and the GDP is on the rise, the personal disposal income is still in question. But these factors are not influencing the consumers. The growth has been tremendous over the last few years. Especially this year after Banglalink entered the market. GrameenPhone reached an astonishing 50 lakh customers this year. The ultimate test of a business is its social relevance. An important aspect of the social environment concerns the values consumers hold. Values mainly revolve around a number of fundamental concerns regarding time, environment, personal finance, diversity etc Orientation towards time: Convenience is a critical source of differential advantage, particularly in the service sector. Youth are making or influencing more household decisions. Moreover as the population ages time pressures become more widespread and acute. The interest to acquire and use new technology has been a big factor. Everybody wants to be connected with each other & having a mobile connection has become a social status for some part of the population. Diversity of Lifestyle: Mobile phones have given a diversified lifestyle to the society. The diversification & integration and doing multi tasking has become more easy day by day. The connections in the rural areas have given a touch of focusing the rural business with the business of that of the capital. Technological factors include the use if technology in doing business. Up to date use technology helps to acquire the economies of scale for the company and cost savings. It also gives them the opportunity to expand in the future. Currently in Bangladesh the mobile phone companies are not exactly using the state of the art of technology. Although different multinational companies like Siemens, Nokia & Ericsson helping but they need to be updated more. After analyzing the above factors we can know the competition prevailing in the mobile phone industry. Potential Entrants are companies that are not currently competing in the industry but have the capability to do so if they choose. The risk of entry by potential competitors is a function of height of Barriers to Entry. Large companies enjoy a brand loyalty in the market through its huge customer base, customer retention ratio, reputation, high product quality & after sales service. There are large established companies in mobile telecommunication sector, i.e. –GrameenPhone, Banglalink, CityCell & Teletalk who have brand loyal customers & enjoy a competitive position in the market. So whatever product/service they come up in the future they can easily capture market share. This makes it difficult for new entrants to fight with these established brands for gaining market share. Absolute Cost Advantage arise from following sources; i.e. – product diversification, pricing strategy etc, they represent lower risk than entrants. In mobile telecommunication industry companies have long experience in this sector. Some of them have experience in doing business in different parts of the world. Using that experience here & following those successful strategies gives the companies some cost advantages as well. The sources of economies of scale are i.e. – discounts on bulk purchases cards, advantages gained by spreading fixed production cost over a large production volume and cost savings associated with spreading marketing/advertising expense over a large output. In telecommunication industry the companies get 2% – 5% discounts from card making companies because of bulk purchase, can spread fixed cost over huge number of conversions & save advertising costs over their large output. Switching costs arise when it costs a customer time, energy & money to switch from products offered by established firms to products offered by new entrants. Because of intense competition in the market the switching cost is very low right now. The companies are offering very low connection fee. So there is a tendency of customers using multiple company service at the same time. Government regulation summarizes government’s policy towards setting up new industry. An industry’s buyers are individual customers who consume products, as end users & retailer’s are who buy it for selling to customers. The customers and the dealers are the main buyers in the mobile industry. It gives them more bargaining power over the company. It refers to the ability of suppliers to raise input prices, threat to stop selling products & delay in delivering products. Substitutes are products that of different business that can satisfy similar customer needs. In mobile telecommunication the close substitute is the BTTB land phones & some other new wireless fixed phones. BTTB land phone connections have been there for the last 30 years and so but the mobile phone connection out numbered them in a couple of years. So they are not a big threat now. The new wireless FIXED phones are relatively new in the market so they are not opposing any direct threat to the mobile sector as well. Moreover these phones are targeting some specific segments of the market. Rivalry refers to the competitive struggle between companies in an industry to gain market share from each other using price, product design, superior product offering, advertising spending, after sales service & support. 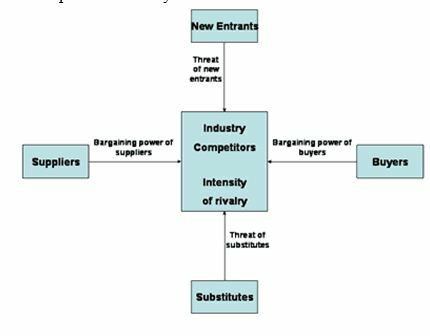 The intensity of rivalry among companies in an industry is a function of industry competitive structure, demand condition & height of exit barriers in the industry. It refers to the number & size distribution of companies within that industry. In Bangladesh the mobile phone industry falls under consolidated industry representing a small number of large companies, i.e. 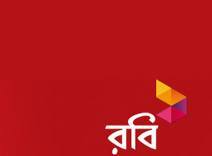 –GrameenPhone, Robi, Banglalink, CityCell & Teletalk. The current demand in the market for connection is very high. On a average every company is launching a new product or extensions every month. Price sensitive customers are really switching connections every time a new package comes out. Exit Barriers represents investment in fixed asset, high fixed cost, equipment & economic dependence on industry. All the companies entered the market with huge initial investment and strong market commitment strategy. So the exit barrier is very high. The term competition defies definition because the view of competition held by different groups varies. Most firms define competition in crude, simplistic and unrealistic terms. Some firms fail to identify the true source of competition; others underestimate the capabilities and reactions of their competitors. When the business climate is stable, a shallow outlook toward the competition might work, but in the current environment, a business strategy is really competitively oriented. In the telecom sector of Bangladesh the competition is really strategic oriented competition. Studied deployment of resources based on a high degree of insight into the systematic cause and effect in the business environment. Ever changing technological advances in the technological industry, customer demand and the scope of investment in this sector has made Bangladesh a profitable target for various multi national companies to setup mobile companies here. TELENOR, Telecom Malaysia, SingTel & Orascom are the major MNCs to enter Bangladesh with GrameenPhone, Robi, CityCell and Banglalink CityCell. Event the government regulated company BTTB has come forward to join the competition with TELETALK. Robi’s major competition comes from all the four companies mentioned above. All the companies are aggressively marketing there product. Especially after Orascom entered Bangladesh earlier this year gave the competition a new edge. The customers are looking for the best buy with bundled features & low price talk time. GrameenPhone is the largest mobile company in Bangladesh. With a customer over 4 million GrameenPhone has been the ultimate example of success in Bangladesh. Strong network & flexibility in the price & service category quickly made the company a market leader. With the vision of “Banglalink understands people’s needs best and will create and deliver appropriate communication services to improve people’s life and make it easier” Banglalink entered the market in late 2004. Banglalink aims to understand peoples’ needs best and develop appropriate communication services to improve peoples’ life and make it simple. All their work is aimed towards meeting their vision. The company behind Banglalink is Orascom Telecom. It is one of the most dynamic telecommunications powerhouses in the world. Orascom is based in Egypt and has operations in 11 countries worldwide. Established in 1998, it is today the largest capitalized company on the Cairo & Alexandria Stock Exchanges with over 11 million subscribers worldwide. It has grown to be one of the largest and most diversified GSM network operators in the Middle East, Africa and Asia. Teletalk Bangladesh Limited (TBL) is formed as Public limited company under the Companies Act 1994 on 26th December 2004. Therefore it is a Govt. owned company. Although a new entrant, Teletalk is staffed by experienced Telecom Engineers. Committed to accessibility, quality, coverage and price Teletalk launched it’s much anticipated Mobile Telecom service on commercial basis on 31st March 2005. A new Middle East Based telecom company named Warid Telecom is on its verge to enter into Bangladesh in the next few month. Their strategies are yet to be known to public. However rumor and public opinion expects Warid to make the mobile phone service industry further competitive. 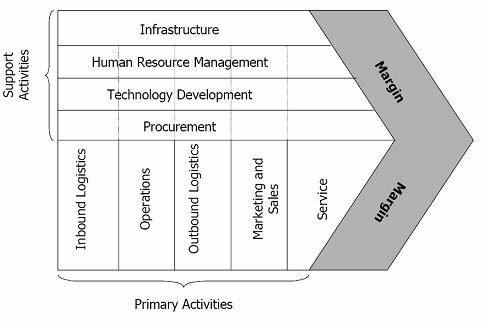 The value chain analysis describes the activities the organization performs and links them to the organizations competitive position. Value chain analysis describes the activities within and around an organization, and relates them to an analysis of the competitive strength of the organization. Therefore, it evaluates which value each particular activity adds to the organizations products or services. This idea was built upon the insight that an organization is more than a random compilation of machinery, equipment, people and money. Only if these things are arranged into systems and systematic activates it will become possible to produce something for which customers are willing to pay a price. Porter argues that the ability to perform particular activities and to manage the linkages between these activities is a source of competitive advantage. Marketing and sales, and service. Each of these primary activities is linked to support activities which help to improve their effectiveness or efficiency. Infrastructure (systems for planning, finance, quality, information management etc.). Robi’s value chain is centered on the idea of lowering the cost structure and increase the perceived value if the products and service through differentiation. R&D is not only concerned about the product design and production process but also the segmentation and the needs of the customers. The customers are at the core of the activities of the function of Robi. So the needs of the customers are always a preference for the company. The R&D department are continuously on the market research to find out about the demand of a product which may be about to launch or will be launched in the future. The R&D function can help to lower costs or permit a company to charge higher prices. Production is considered with the creation of a good or service. In the case of Robi it is in the service sector. To the production really takes place when the service is delivered to the customers. By performing its activities efficiently the production function of a company helps to lower its cost structure. There are several ways in which the marketing and sales functions of a company help to create value. Through brand positioning and advertising, the marketing functions can increase the value that customers perceive to be contained in companies product. This is the most important value creation activity of Robi in a sense that this is the way to survive in the market in Bangladesh at the moment. The rivalry is so high right now those competitors are putting cent percent effort on big ad campaigns. A detailed marketing plan of AKTel has been included in the AUDIT. The roles of service function of an enterprise are to provide after sale service and support. This function can create a perception of superior value in the minds of the customers by solving customer problems and supporting customers after they have purchased the product. Robi lacks behind in this value creation category comparing to their competitors. The customer care service isn’t up to the mark. The after sales service is also not up to the expectations. Company infrastructure is the companywide context within all the value creation activities takes place; the organizational structure, control system, company culture. Because the top management can exert considerable influence in shaping these aspects of a company top management should also be viewed as part of the infrastructure of a company. Robi’s organizational structure is basically a flat one with the view to smooth the communication process with upward and downward communication. But there are times when this gets affected. There are sometimes interdepartmental conflicts. On the other hand the control system is fairly centralized. The company practices strong intergrated culture within the organization. There are a number of ways in which the human resource functions can help a company to create more value. This function ensures that the company has the right mix of skilled people to perform its value creation activities effectively. Robi has a sound HR practice and tries to motivate the employees to keep up the good works. From giving incentives to organizing cultural activities to inspire the employees and give them the feeling of being a part of the family is given importance in Robi. This is for managing inventory, tracking sales, pricing products, selling products, customer service inquires etc. The technologies used in the company are state not state of the art. The customer service centre needs to be up to date. Functional level strategies are the strategies that the companies take to improve the effectiveness of the company’s operation and thus its ability to attain superior efficiency, quality, innovation, and customer responsiveness. In each functional area identified by the strategist as needing goals and action plans, the aspects of the domain of each and the degree of detail entered into are matters of choice. Management’s concern in setting functional strategy should be to provide the firm’s functional officers with sufficient guidelines to carry out the functional parts of implementing other levels of strategy Robi focuses on achieving superior quality throughout the functional level of the organization. Even though the service provided by the company may be of higher standard that does not imply that the company has achieved superior quality. Any company that has achieved superior quality would be able to reduce rework and delay costs. It would be able to service provider in such a fashion that would require less rework and less delays. It would be able to better utilize the time and materials of production. Hence, cost would ultimately go down- making it more efficient in manufacturing. In order to achieve such a state, Robi should consider implementing Total Quality Management. At its essence, the strategy is build around the notion that doing something correctly in the first time is more profitable for the company. Even though zero defect tolerance policy might be too extreme for such a company as Robi, it must make sure its defect and rework rate is at the minimum. The easy way to ensure that is by making sure that it is able to produce the required quality service. TQM initially might increase the cost of production due to the strategies devotion to superior quality. However, as the company rides down the experience curve, the cost of production will go down substantially. Thus, at first the TQM policy might not be well accepted among the employees of the service providing companies. They might view the policy as inefficient and redundant. Hence, care must be taken so that the benefits of the policy are well-communicated among the employees of the organization. Historically it has been seen that self-managed teams are more effective in implementing TQM. However, self managed teams require substantial amount of decentralization. The concept of decentralization might be met with significant resistance from the upper management of the company. Still, Robi should consider the possibilities offered by self-managed teams. In the business level, the company follows the strategy of Focused Differentiation. It enables to provide its targeted market with quality service that is clearly differentiated from its competitors’ offerings. Adopting a differentiation strategy would require a number of changes within the organization. Management of Robi must work hard to minimize the bureaucratic costs. Grouping tasks and functions and efficiently using integrating mechanism to better coordinate the tasks and functions is highly recommended. In addition, the company must clearly allocate authority and responsibility and properly define its goals to its employees. Flattening the organizational structure might prove fruitful. The principal concerns of corporate level strategy are to identify in the business in which should participate, the value creation activities it should perform in those businesses and the best means for expanding or constructing in different businesses. Robi’s corporate strategy revolves around strategic outsourcing. It involves spreading out some of a company’s value creation activity within a business and letting them be performed by a specialist in that activity. In other words strategic outsourcing is concerned with reducing the boundaries of the company and focusing on the fewer value creation functions. From the setup of the network to distribution of its card AKTel has outsourced many of its works. 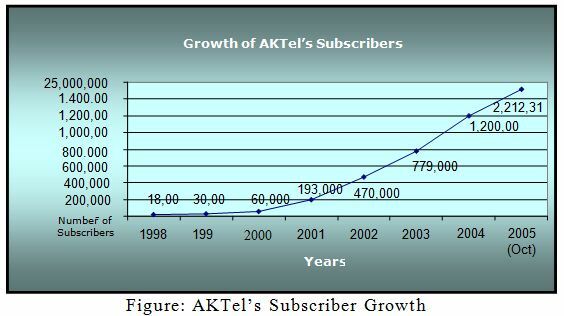 AKTel engaged in strategic outsourcing because they believe that they can better execute their business model by doing so and thus increase profitability. Out sourcing is an activity that will reduce cost when the price that must be paid to a specialist company to perform that activity is less than what it would cost the company to perform that activity internally. Robi’s distribution is strictly based on outsourcing. Refill cards are distributed through a third party. This way they reduce the distribution cost and overhead cost of running an vertically integrated distribution channel. For both service and marketing department performance will be one of the criterions to evaluate employee performance. Profit sharing will be part of the pay package of the employees that will ensure the higher employee performance. Robi is a dynamic and leading end-to-end countrywide GSM mobile operator. As a committed corporate citizen of Bangladesh, Robi provides yearly scholarships to meritorious and financially needy Bangladeshi students for Bachelor degrees in Multimedia University, Malaysia. AKTEL will offer scholarships for the academic year 2006-2007. These are the formal target setting measurement and feedback system that allows managers to evaluate whether the company has achieving superior efficiency, quality, innovation and customer responsiveness. Personal Control is the desire to shape and influence the behavior of a person in face to face interaction in the pursuit of the company’s goal. For Robi this is more applicable because managers can questions and probe subordinates about the problems or issues they are facing to get a better understanding. Output control is a system where managers’ estimates or forecasts appropriate performance goals for each division and employees and then measures actual performance on these goals. It motivates the employees. For Robi it is going in to a broad focus business in the future can help to keep track of the business by implementing this control system. In pursuing a differentiation strategy the company will start to produce a wider range of packages and serve more market segments, which means it has to customize its products to the needs if different groups of customers. So to implement this managers should develop a more sophisticated control system increasingly make use of technology. Because the recommended strategy is to go for more broad focus based product line differentiation the company must first decide how to group overall product line into product groups or categories so that each product groups can be developed at lowest cost consistent with permitting the differentiation needed to create value for customers. Now to keep costs as low as possible the decision is made to centralize the support value chain functions like information system at the top management of the organization and the different product groups share their services. Strategic control system can now be developed to measure the performance of each product group separately from the others. Thus the performance of each product group is easy to monitor and evaluate. Strategic reward system can be more applicable here. In case of competitive advantages Robi is seeking Differentiation focus, Cost focus and Cost leadership at the same time. A DIFFERENTIATION STRATEGY is one of creating a product or service that is perceived as being unique “throughout the industry”. Robi was the first telecommunication company to introduce GPRS, entertainment packages like Fun Dose etc. Their step to setup “CLUB MAGNET” for their loyal customers with special offers from them & affiliated companies are also an indication of the differentiation focus. A COST LEADERSHIP STRATEGY is based on the concept that the company can produce and market a good quality product or service at a lower cost than its competitors. These low costs should translate to profit margins that are higher than the industry average. Robi’s recent package “Exceed” gives the indication that the company is trying to attain this strategy and command over the competitors. 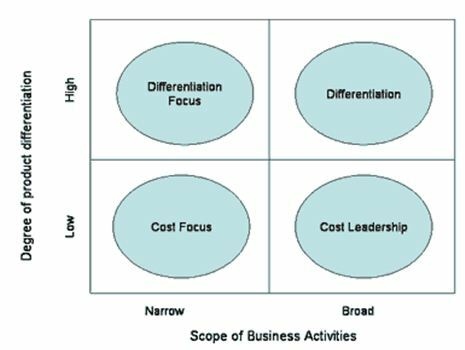 A FOCUS STRATEGY may be the most sophisticated of the generic strategies, in that it is a more ‘intense’ form of either the cost leadership or differentiation strategy. It is designed to address a “focused” segment of the marketplace, product form or cost management process and is usually employed when it isn’t appropriate to attempt an ‘across the board’ application of cost leadership or differentiation. Robi’s new offerings, redefining the post packages indicates that they are trying to follow this strategy as well. Robi’s marketing strategy is diverged. They use different type of marketing strategy to get the desired market share and the target segment. Robi is serving at different distinct segment of the market without focusing on a particular one. This gives them an opportunity to expand their coverage in the market. To implement this multi-market strategy the company is focused to those segments that it feels most comfortable and in which the company is able to avoid confronting the companies that serve the entire market. Their implementation is done through selling different products in the different segments. From the start the company has taken a national marketing strategy to cover the whole Bangladesh market. Gradually they set upped the network and now they are covering almost 60 districts of the country. Robi follows a strong market commitment strategy. 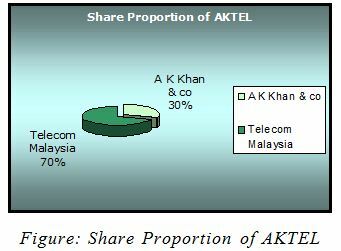 With Telecom Malaysia & AK Khan group in its backbone the company invested heavily in the market. The strong commitment strategy gives the company a chance to operate in a market optimally by realizing economies of scale in promotion, distribution and so on. Challenge from competitors like GrameenPhone, Banglalink for the position in the market is handled by AKTel by aggressively fighting back with different forms of product, price, promotion & distribution strategies. In other words because the company has a high stake in the market it does all it can to defend its position. The implementation of the product strategies requires cooperating among different groups: finance, research and development, the corporate staff, and marketing. This level of integration makes the product strategies difficult to develop and implement. The term positioning refers to placing a brand in that part of the market where it will receive a favorable reception compared to competing products. Robi’s single brand positioning gives them benefits to play a dominate role in the core segment. This strategy gives them the flexibility to attract customers for the other segments outside its core segments. Broadly speaking pricing objective can be either profit oriented or volume oriented. Robi pursue both at the same time. For their new products Robi follows penetration-pricing strategy, so they can enter the market with a low initial price and capture a greater market share. Because of high price elasticity of demand they are adopting this strategy. It also gives them option to achieve economies of scale. In case of their established prepaid & postpaid product Robi is following reduces price strategy. For all existing prepaid & post paid services the company uses the reduced tariffs. It can identified as a defensive strategy responding to the competition, offensive in nature because suing the experience curve concept costs across the board go down by a fixed percentage every time experiences double or it can be because of the customer needs. Lowering the prices sometimes becomes prerequisite for inducing the market to grow, customers’ need may then become the pivot of marketing strategy, all other marketing aspects are developed accordingly. Promotional strategies are concerned with the planning, implementation and control of persuasive communication with the consumer. For Robi these strategies are revolved around advertising, sales promotions and special offers. They follow this strategy to adequately blend the three types of promotion to complement each other for a balanced promotional perspective. To advertise their products and services to the market Robi uses various types of media that are available. From television commercials to Newspaper and magazine they are now even sponsoring the evening news headlines. This of course falls under their advertising copy strategy. One important factor is that Robi uses both PUSH & PULL strategy at the same time. They have their in house advertising campaign department. But they outsource their other big ad plans to ad firms as well. Robi was doing fairly well up until this year. Because of the entrance of BanglaLink in the market the competition is heating up. The consumers are very price sensitive in our country. The offering of new packages at lower price by the competitors along with heavy promotion has been affecting the company. The growth of the company has not been up to the mark like that of Grameenphone or BanglaLink. Grameenphone extended their market size by 1 million only by a six months gap by introducing a subsidiary brand Djuice. BanglaLink on the other hand is going on a rampage with their sales promotion and advertising. They are offering at a lower cost all around the clock during day and night. So keep up with market and grow as it plans Robi must reinvent itself in the industry itself. They should not modify the only a single strategy rather reposition their existing marketing mix with modification.